What do we do on our rare days off you ask? Well, we play with our truck obviously. The transporter/RV work has begun. Rusty metal and seized bolts coming your way fairly soon. Project Binky - Episode 23 - Austin Mini GT-Four - Turbocharged 4WD Mini: Here it is gang, episode 23 of Project Binky. Really hope you enjoy it. Project Binky - Episode 22 - Austin Mini GT-Four - Turbocharged 4WD Mini: Here it is gang, episode 22 of Project Binky! We really hope you enjoy it. 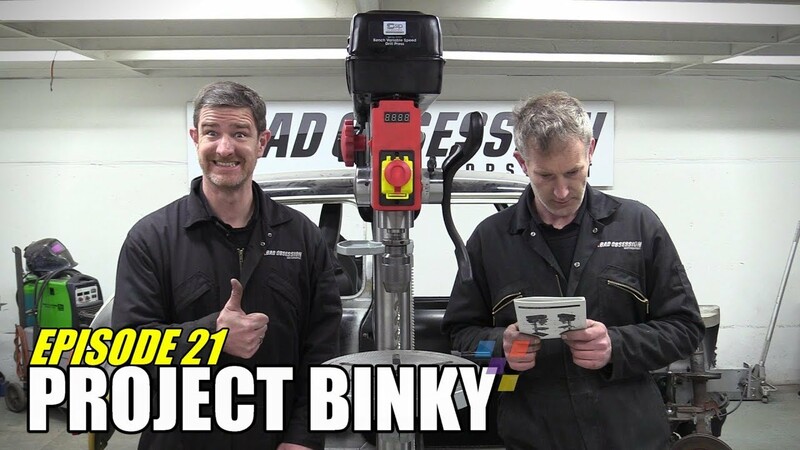 Project Binky - Episode 21 - Austin Mini GT-Four - Turbocharged 4WD Mini: Here you go gang, episode 21 of Project Binky! Hope you enjoy it and we wish you a very happy and healthy new year. Phew, finished filming episode 17 today. Now got to edit a bunch of footage before Thursday night! As you all know, we like tea. A lot. A great cup of tea is a very subjective thing, so how do you take yours? Here it is, an hour or so of mindless drivel punctuated by an aimiable host. Thanks for having us guys!